The negative Z value sets the location of the extruder relative to the printer bed in the z axis. Increasingly negative numbers will set the extruder closer to the print bed while more positive numbers will set the extruder location further from the printer bed. 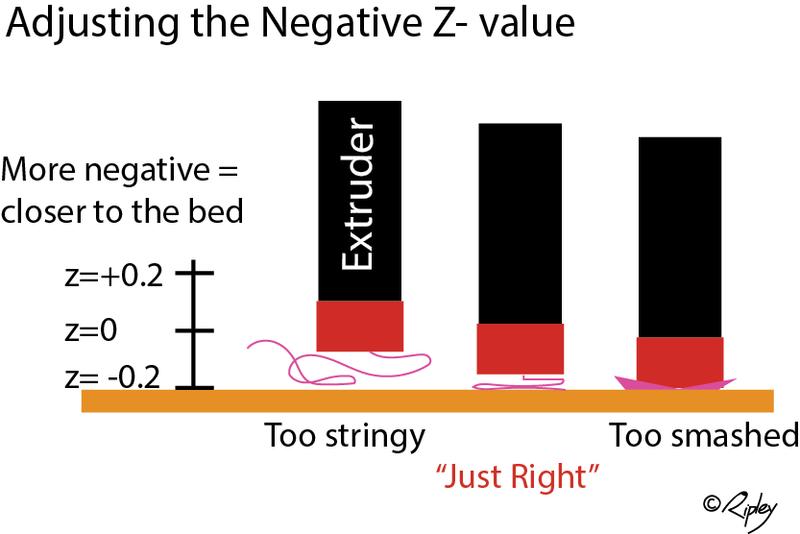 Optimizing the negative z value is key to a good print.